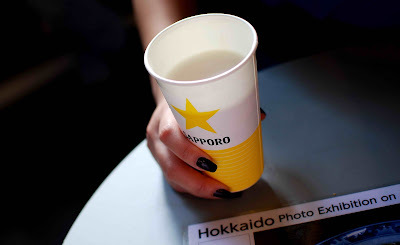 If Hoegaarden was true love, what is Sapporo? Because you don't get to taste it often. Hokkaido Fair @ Isetan, Scotts Road, Singapore. You love Hoegaarden? Wow, haha. Its a Belgian beer drink a lot in Amsterdam :) Funny that you know it, more funny that you like it. You should write more beer/food stories! Beer. Yummy. I'm more into Guinness Draught nowadays. do you mean saporo beer ?